The historic Southwestern Bell Building in Downtown Houston will be transformed into a Hyatt Place hotel. HOUSTON – A new Hyatt Place Hotel is being developed in downtown Houston. 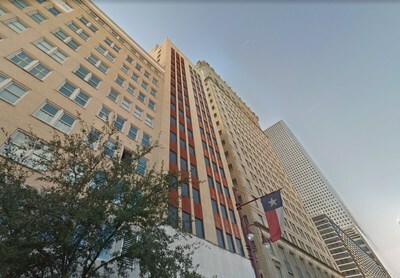 Dallas-based Hall Structured Finance has closed a new first lien construction loan totaling $22.8 million to finance the adaptive reuse of the 70-year-old Southwestern Bell Telephone Co. office building in Downtown Houston into a hotel. The 150-key all-suite, select service Hyatt Place Hotel is being developed by Anthony and Nick Patel, co-owners of Pride Management on Beaumont, which will manage the property upon completion. The 16-story Southwestern Building is located at 1114 Texas Avenue, not far from the old Houston Chronicle building, which is now the site of a flat parking lot. The hotel will contribute to the goal of the Central Houston organization to make the city a major player in the convention industry.